What if drumming could help you get there? What is Transformational Coaching Through Drumming? First, let me tell you what it’s not. It’s not the same as therapy or counselling. It’s not revisiting the past over and over again. It’s not retelling our story to relive it. Transformational Coaching cuts to the chase pretty quickly. Once you get to the heart of it, and you’re clear on what you’ve been doing/thinking/feeling that isn’t working for you, then you can start correcting it. FIRST, WE DIG. Often times, we just don’t know what we don’t know. And to find out, we have to be willing to dig deep enough so we can find the root causes of WHY we do what we do. “Why am I doing this? What’s causing me to act this way?” It’s recognizing our faulty patterns so we can name them, claim them, work through them, and LET THEM GO. NEXT, WE DRUM. We are all naturally rhythmic. The first thing we hear is in the womb… our mother’s heartbeat. When we drum, we tap into our vibrational energy. When we drum together, the rhythm released while playing vibrates in every cell of our bodies, literally transforming us at a cellular level. We can boost immunity, reduce stress, improve mood, increase connection, release emotion. Rhythm heals! THEN, WE TRANSFORM. Drumming is a channel — a tool — that moves us into action. Drumming opens doors that we didn’t even know existed before. You’ll begin to recognize your triggers. You’ll start to catch your faulty patterns. You’ll be able to shift your mindset, adjust your behaviours, and move into your best life. This is Transformational Coaching. Moving out of “stuck” and into STELLAR. Come, drum, and be transformed. Coaching sessions are structured so that there is accountability and consistency. This is for people who are serious about doing the inner work required. Once sessions are scheduled, we work together to set specific goals in your area of concern: relationships, career, family, health and wellbeing, finance. You will be given homework tasks, because in order to unlearn one thing, we need to replace it with the new behaviour, and that takes practice. The tasks are specifically geared to YOUR profile, and are designed to positively alter and align your thought patterns and belief systems with your intentions. We were created and designed to live our BEST lives. Are you ready to live yours? Ready to make a CHANGE, but not sure how? Tired of the pain and frustration of staying stuck? Tired of KNOWING what to do, but can’t act on it? 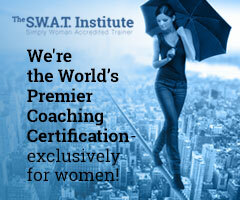 Empowerment Coaching is for you. Day 4 of No Coffee!